1955 Attended St.Peter Boys’ School, Barbados. 1965 Moved to the UK at 14 years of age to Reading, Berkshire. Changed name to Greenidge, after my mother married my stepfather. Attended Alfred Sutton’s Secondary School, Reading, leaving at 16 years of age. Worked for Suttons Seeds in Reading. 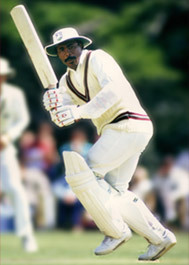 Studied Book keeping and Accountancy whilst honing my cricket skills on the staff at Hampshire. 21st August 1967 I made my debut for Hampshire against Warwickshire in a second team game. 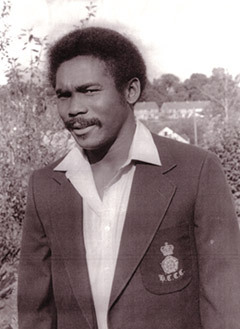 1970 The ‘New Gordon Greenidge’ appeared ready for action culminating in a first team selection. Barry Richards and I came together for the first time as Hampshire’s opening pair, the start of what has been hailed subsequently by others as the finest opening partnership in post war cricket. Ironically this too was against Warwickshire. We also made a long lasting slip fielding partnership too.